A future enabled by the Industrial Internet of Things (IIoT) is not so far off, with the integration of IoT devices rising across industrial settings from oil and gas to building security. The potential to leverage big data and analytics to optimize operations and efficiencies is driving industrial companies to move to IIoT-enabled devices, but these companies are now faced with the challenge of modernizing their legacy production systems. It can be daunting to convert years or decades worth of data to a new infrastructure, which is why we asked Jason Andersen, VP of business line management for Stratus Technologies, to discuss the barriers and benefits industrial companies face to successfully transfer to a next-generation automation system. BN: How can industrial companies who are looking to undertake successful IIoT projects get started? JA: Creating the right team to carry the project forward is essential to a successful transition. There can be a gap between the outlooks of the operating technology (OT) organizations and IT organizations cultures, which needs to be bridged to meet the competing priorities on both sides to achieve the full potential of the IIoT. Bringing a combined IT/OT perspective to the enterprise is emerging as a new specialization. 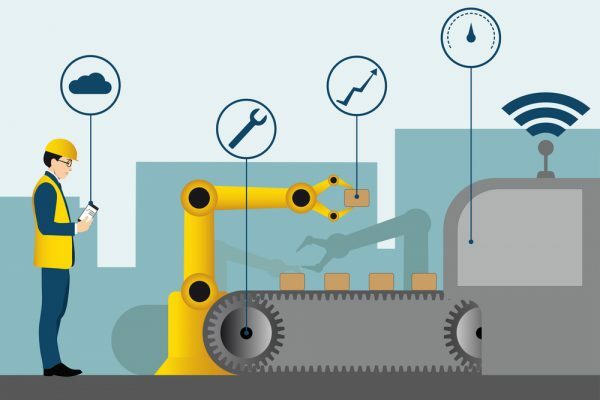 These 'industrial technologists' understand both sides of operations, and can help to meet OT and IT priorities for facilities to maintain their uptime and make IIoT a reality. BN: What is the biggest barrier holding companies back from making the switch to IIoT systems? JA: The most common place to start looking is networking and connectivity. A lot of the potential of IIoT is unlocked by enabling the 'things' to interact with the supporting IIoT infrastructure. That infrastructure could be a cloud application or an edge server. Of course, connectivity opens the door to cybersecurity which is often the most daunting step since it creates new demands on the IT/OT relationships that I mentioned above. Alongside those areas, it's also important to identify the vulnerabilities in old desktop hardware and servers that are running outdated operating systems and proprietary systems that have been patched for years. These legacy infrastructures may not be well suited for the new connected infrastructure, so it's key that OT and IT collaborate to remove outdated equipment and begin exploring IIoT options. BN: How can companies consolidate decades of data and convert it to a new system while still preserving efficiency? JA: To unlock the benefits of the IIoT, you must really understand what you want to optimize and how data and analytics can map to that. Then you will be well positioned to integrate and consolidate the relevant forms of data. Facilities looking to utilize integrated data for advanced analytics face the additional challenge of traditionally 'siloed' data stores within a facility. This includes making sure new systems that are added to your environments adhere to industry standards and allow for interoperability. Integrating and consolidating data are key components of IIoT's value offering, so an important step is designing your next architecture with industry-standard interoperability techniques. BN: Another challenge of updating to IIoT is deciding how to share data within the network, once it's not shared on the legacy systems. What are the challenges of converting infrastructure? JA: Gathering data and making it actionable with sensors, machines, etc. at the edge of the network is the foundation of IIoT success. More and more applications are cloud native, but that's not always the best fit. Our belief is that an edge optimized digital infrastructure is the bridge between these cloud applications and existing applications. Being edge-optimized is a bit different from what you would see in a traditional IT driven environment. It's different in that the prioritization is upon the end user, which is manufacturing is an OT person. The real trick is providing all the reliability, and security you'd come to expect from enterprise IT but an order or magnitude easier to deploy, support and manage for local operators and users. BN: These transformations are both physical and virtual -- how can companies optimize their edge sites? JA: The good news is that while this may sound daunting, there are a lot of enterprise technologies that facilitate the transformation. For instance we believe that virtualization and even containers greatly reduces the amount of physical systems that must be purchased, and deployed. But it goes beyond initial costs. Virtualized servers can increase interoperability and infrastructure efficiency, and they open the door to more flexible way to manage and maintain your infrastructure, even if the manager is remotely located. Again, the key to all of this is how to make those enterprise benefits consumable and easy for the edge.